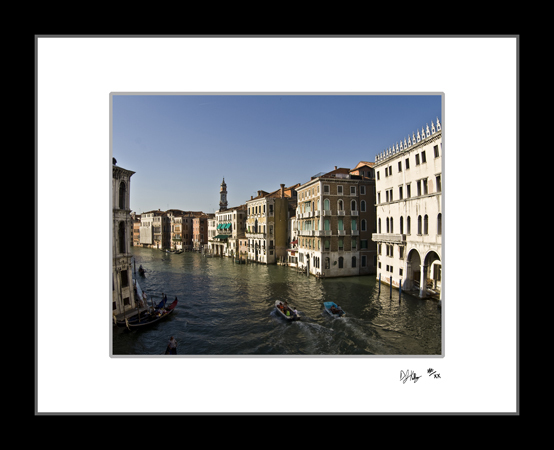 This fine art print of several palaces along the grand canal in Venice, Italy. Although there are no cars to be found on the streets of Venice, the waterways are full of boats in this lovely city. This photograph captures the busy grand canal at a uniquely calm time with several small boats that will be used to move goods throughout the city. The old buildings sit directly on the canals with doors that lead straight to boats which is typical on the many smaller canals in Venice, Italy.